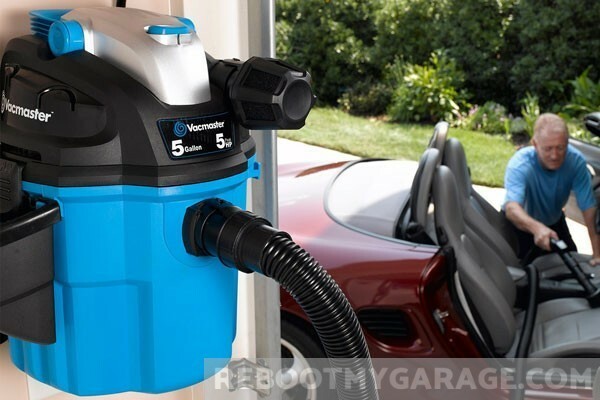 The best wall-mounted vacuum cleaner for you is the VacMaster VWM510. 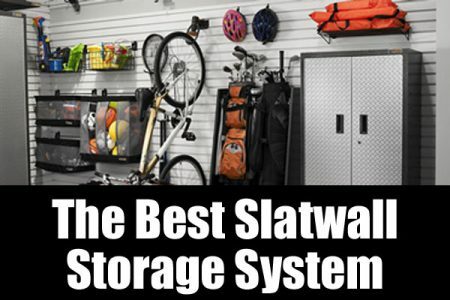 Learn why here. 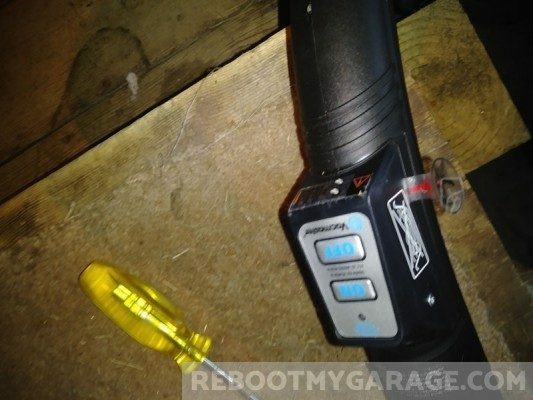 The VacuMaid and Ridgid are great vacuum cleaners too, but the VWM510 is the best. HOSE LENGTH 10 ft. + 11 ft. (21 ft. total) 50 ft. 21 ft. WEIGHT 22 LB. 30 LB. 19 LB. TANK SIZE 5 GAL. 7 GAL. 5 GAL. 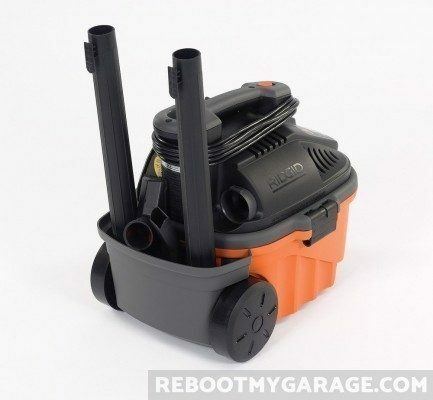 HOSE DIAMETER 1 7/8 IN. 1 1/4 IN. 1 7/8 IN. 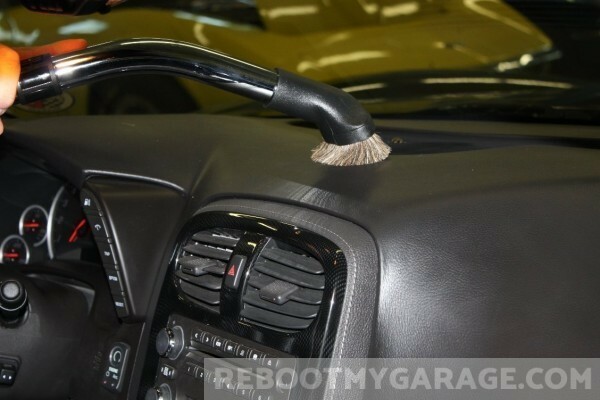 CORD LENGTH 20 FT. 6 FT. 20 FT. 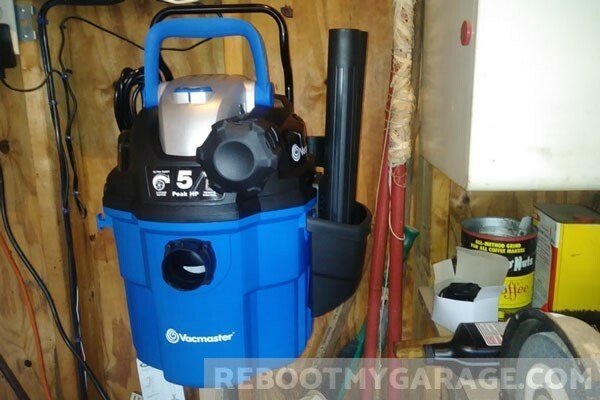 The VacMaster VWM510 is winner of multiple garage vacuum cleaner contests. 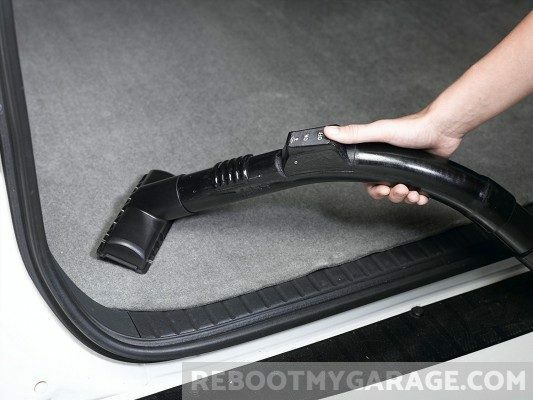 Without a doubt, it’s the best vacuum cleaner for the garage. It’s a wall-mounted wet-dry vacuum with 21 ft. of hose, a blower function, cord storage, hose storage, and accessory storage. 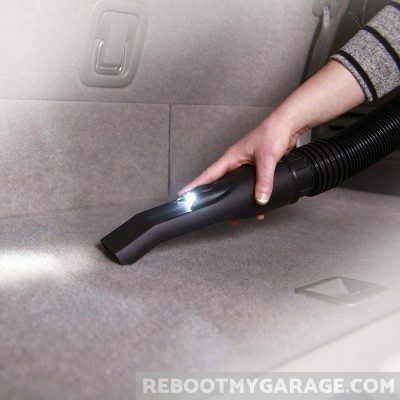 It’s the only garage vac with a remote power switch on the cleaning end: you can turn it on and off from the handle. 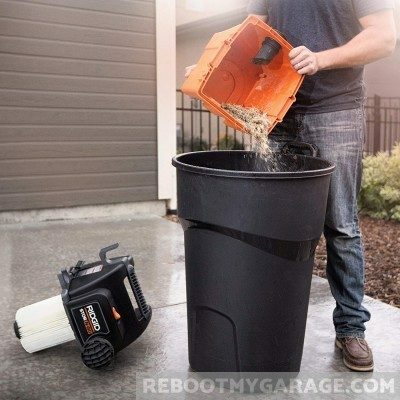 You can turn it on and off 21 ft. away from the motor, instead of walking back and forth to the motor. 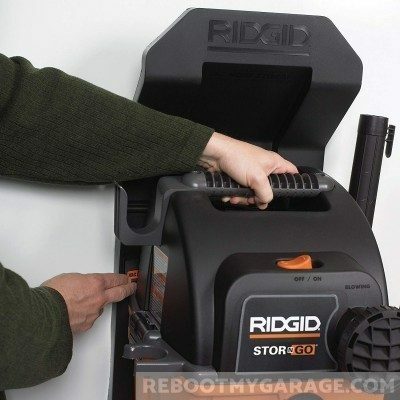 It’s very highly rated and well-liked, and it’s the one I bought for my garage. 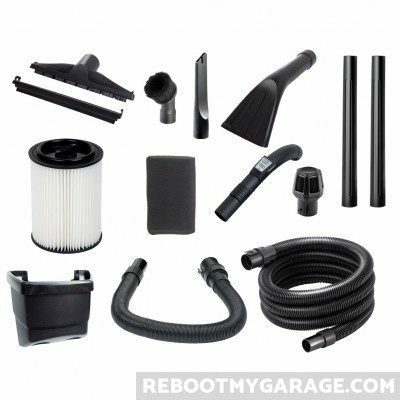 Check out the latest prices on Amazon. 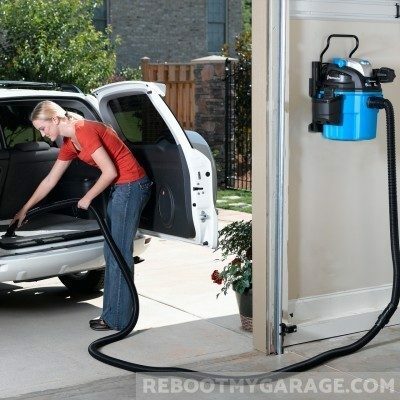 The VacuMaid is a commercial grade wall-mounted garage vacuum It comes with 50 ft. of hose, a hose rack and cord storage. 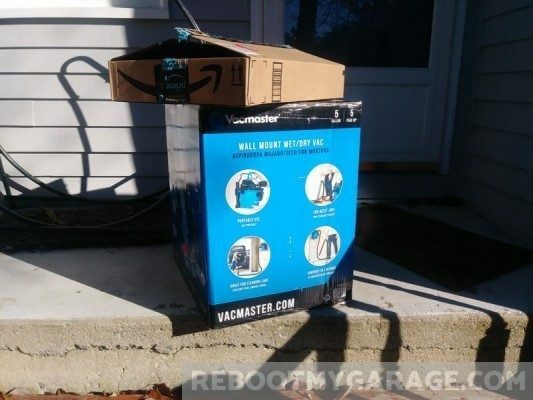 But it’s not a wet vac and doesn’t have wheels. 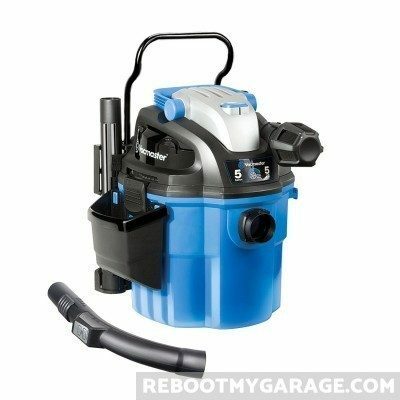 So this is a solidly built vacuum cleaner choice if you want a dry vacuum with a massive 50 ft. reach. 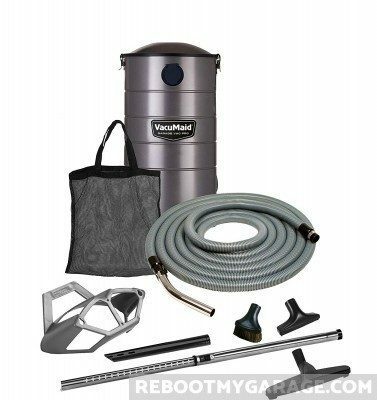 Check out the GV50Pro on Amazon. 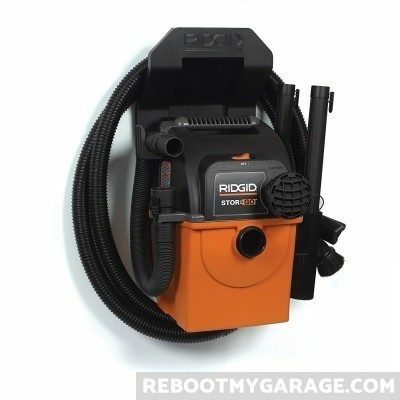 The Ridgid VAC5000 is a close competitor to the VacMaster VWM510, but it’s more expensive and doesn’t come with wheels. 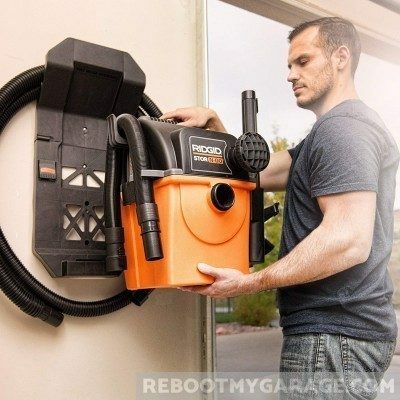 It’s a wall-mounted wet-dry vacuum with a blower, cord storage and hose storage. It has 21 ft. of hose.